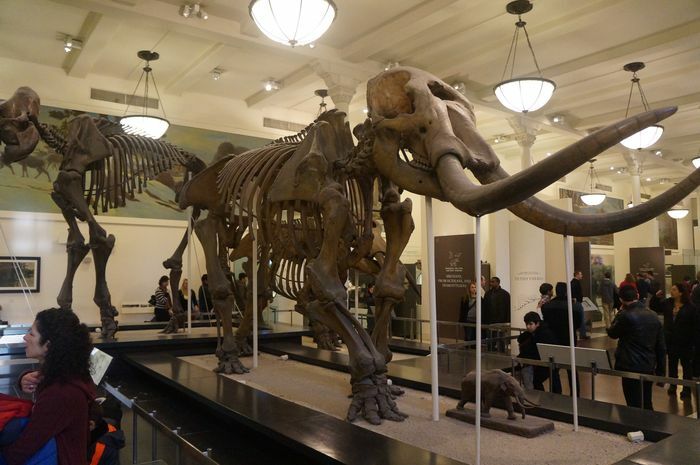 For many people Central Park is the place to visit in New York, followed by the American Museum of Natural History, so of course it was on our list of things to do. Central Park was pretty - littered in bright white snow. Pretty and cold. We didn’t spend much time exploring the grounds, because of the bitter cold, however my kids are big fans of the movie, Madagascar. The animals in the movie are originally from Central Park Zoo in New York and so we were on our way to see Alex the Lion. We caught a taxi to the zoo from Penn Station, it wasn't far or much. The line to get into the zoo was long, but moved fairly fast. Entrance was US$18 for adults, under 2 free and 3 - 12 year olds $13. The zoo was disappointing. It was small and there was no lions or zebras, I don’t recall hippos or giraffes either. Can you imagine the devastation of the little ones expecting to find Alex the Lion, luckily we could tell them he was living in Madagascar now… or is it the zoo? Maybe the circus. I can’t keep up, there’s too many sequels. The majority of the visitors could be found in the tropical animal house, that was a warm welcome from the biting wind. The sealions at the centre of the zoo was entertaining, but after having recently been to Seaworld just a couple weeks prior, it wasn’t quite as good. On our way from the zoo we were told our ticket included a children’s zoo. So we headed the short walk towards that. By the time we reached it my son had fallen asleep, but my 4-year-old daughter loved it. I know he would have loved it too and it was the saving grace for the zoo. We fed baby animals, crawled in turtle shells and through rabbit holes. It was a real little adventure that kept my daughter warm and on the go. I can’t recommend the zoo, but I guess it’s one of those things you just have to do at least once. We had meet Darcy and her twins at the Brooklyn Museum as a similar family who has dreams to travel the world with their kids. 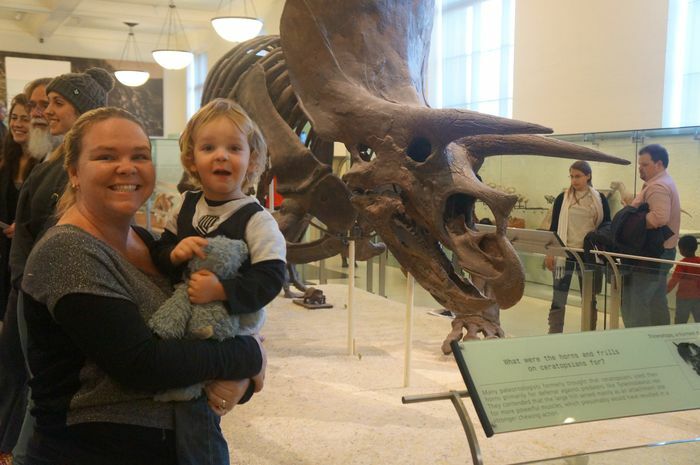 So when she invited us to the Museum of Natural History we were keen to meet up with her and the boys again. Not only that, but Darcy held a members card, which she extended to us to gain free entry. Entry is normally US$19 per adult & $10.50 per child. We meet them at Church in the city before heading to the museum. Josh and I had been to the museum previously in 2007 and were just as in love with it this time showing the kids around. The museum is huge and you really need to pick the things you want to see, because you can’t really complete the whole museum in one day. If you have younger kids I’d highly recommend bringing a pram to save some sanity. On top of the lists of things to see were the majority of items you can see in the movie “A Night At The Museum”. We were after the dinosaurs and most of the stuffed animals. We also wanted to check out the Easter Island statue. Darcy also mentioned the gift store was worth doing since it covers a few floors and allowed the kids just to play for a little while. The hall of dinosaur skeletons was definitely a highlight. 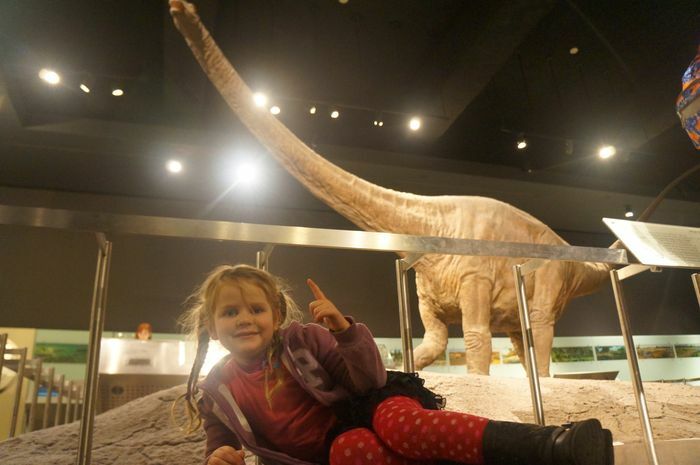 We absolutely loved this museum and so did the kids. Without a doubt it’s one of the best museums we’ve visited anywhere in the world. It is totally worth visiting and if you really enjoyed the movie then finding the little characters throughout is a bonus, unlike the missing animals at Central Park Zoo.